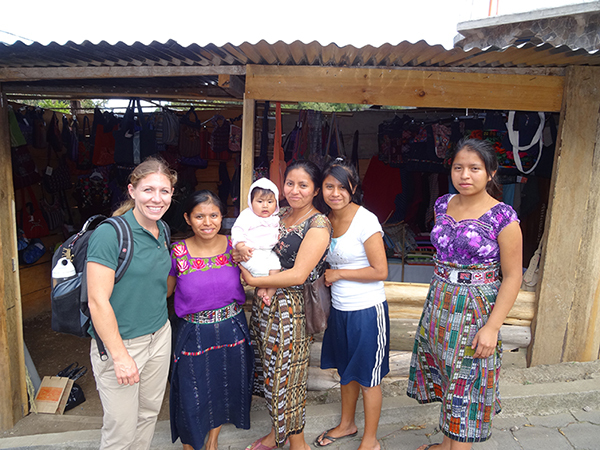 Over the last several years, graduate students in the MBA program have visited Guatemala through the USFSP Education Abroad program. 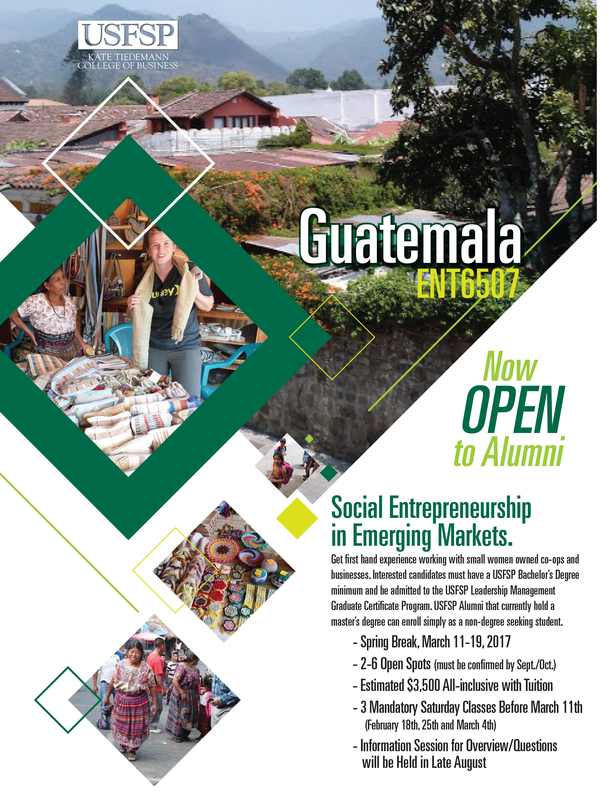 For the first time, USF St. Petersburg alumni will be eligible to participate in the university’s Education Abroad trip to Guatemala with current Kate Tiedemann College of Business students during the 2017 spring break. The graduate course, titled Social Entrepreneurship in Emerging Markets (ENT 6507), will provide participants with a first-hand experience working with small women-owned co-ops and businesses. The students will visit and work in the San Juan la Laguna de Atitlian region of Guatemala from March 11 to March 19, 2017. During the trip, the students will be led by faculty advisor Dr. Karin Braunsberger, professor of Entrepreneurship in the Kate Tiedemann College of Business, who has made the trip to Guatemala with students each year since 2012. A flyer with information about the USFSP Education Abroad class to Guatemala. Until recently, the College of Business restricted enrollment in the course to only MBA degree-seeking students. Braunsberger pushed to have the course opened to alumni after presenting about her previous courses during the university’s inaugural Alumni College event in April. To participate, alumni registrants must have completed a minimum of a bachelor’s degree and must qualify and be accepted into the Leadership Management Graduate Certificate program to meet accreditation standards. Alumni who already hold a master’s degree, regardless of discipline, qualify to enroll in the course so long as they are active in the university system. Participants must attend three mandatory Saturday classes leading up to spring break. Contact Heidi Hamlin for more information about the alumni trip opportunity.